Because doesn't your bed deserve a trendy accessory too? Your favourite location - and we're guessing that that's your bed - must allow you total comfort, meaning that you're going to want to have some things within reach. A remote control, for instance, your smartphone, a great book, or your reading glasses. 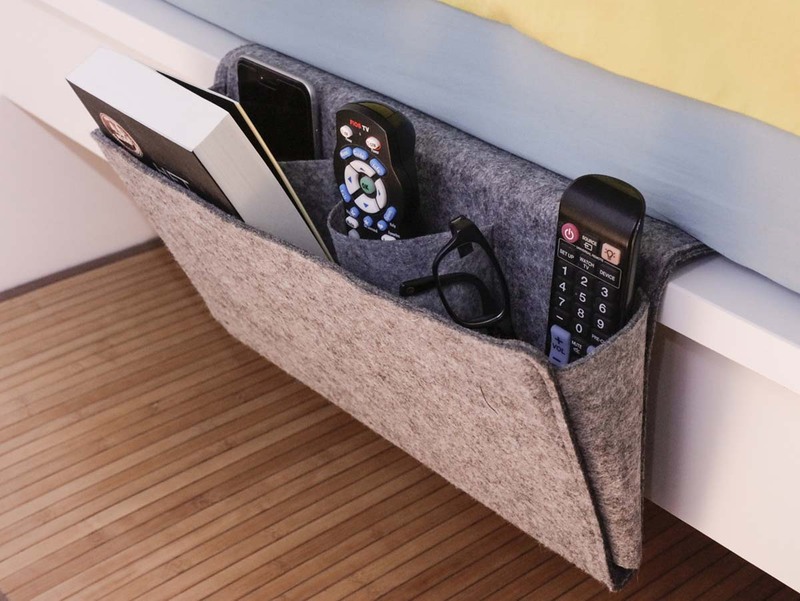 The Bedside Pocket means you'll never have to look for these items again, because they'll fit right into this convenient storage bag that you can easily hang off the edge of the bed. Thanks to its neutral, grey colour, it will perfectly blend into any interior. This gadget can be a life-saver for those with small bedrooms that lack a nightstand, or for folks sleeping in bunk beds. And you can also use it on the sofa by wedging the pocket between two cushions. 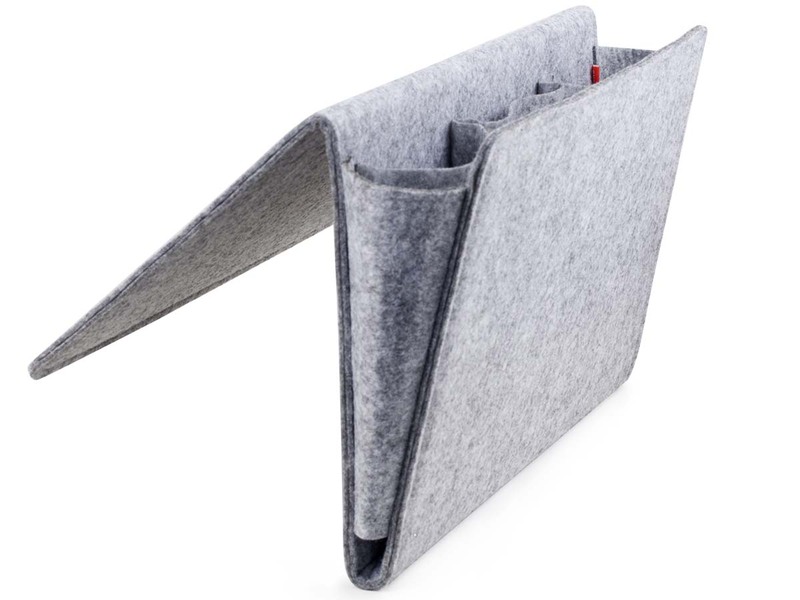 Great for holding a smartphone, remote control, glasses, book, etc.